Back in August Nicki had a pinkeep class. Its taken me this long to finally get around to making my pinkeeps. The class was a great help in doing it. The first one I made was Full of Hope, Mary Kathryn’s first design. 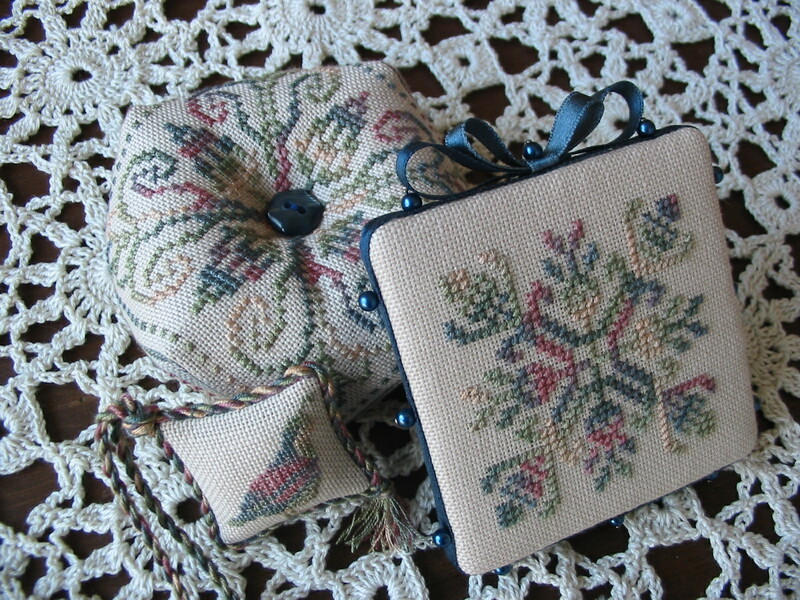 The next pinkeep completed a set of smalls I made for my mother. 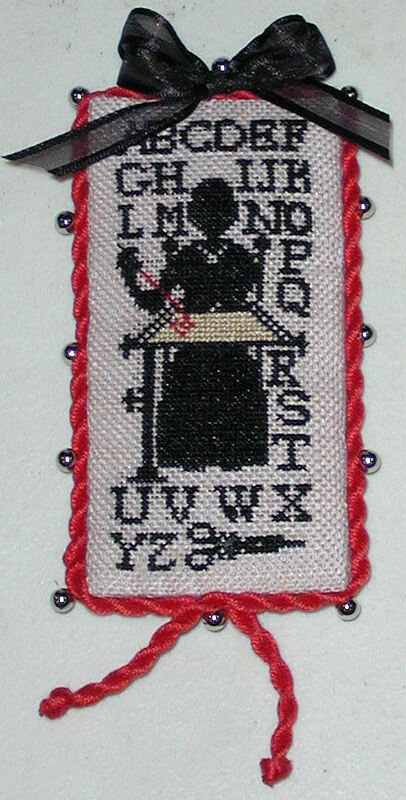 There was another pinkeep, but its for an exchange! Thank you for the wonderful class Nicki. Thank you Nicki for a great class! I made this pinkeep for my boyfriends birthday today. Your class was wonderful. 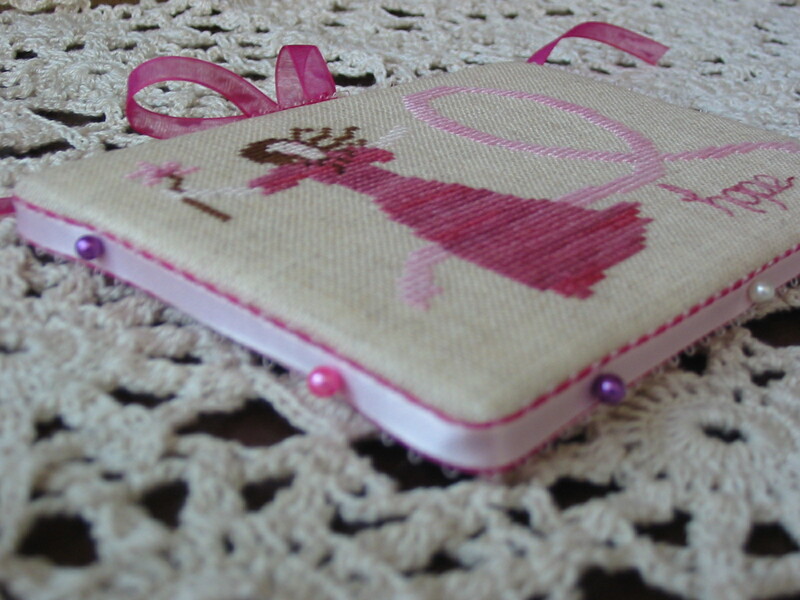 It is a very easy way to finish projects and it looks so nice. Thanks a lot. 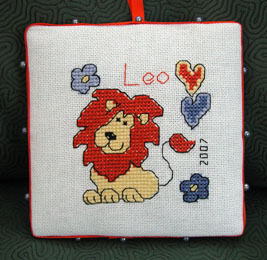 I´ve forgotten to say who has the copyright: the design is taken from Cross Stitch Crazy Nr. 36! Here is my contribution to the weekend pinkeep class. 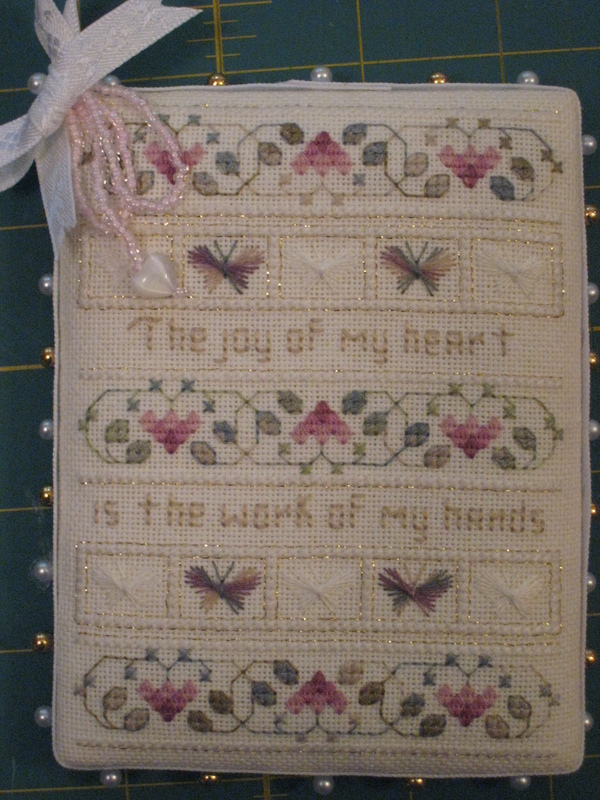 I finished Joy of My Heart, a design from Lori Birmingham. I’m still not sure if the bow on the corner works but it’s only stuck in with a pin so of course I can change it. 🙂 Thanks Nicki so much of posting this lesson. Mine turned out great.